1. The Lean Startup by Eric Ries. Ries is one of the key people leading the lean startup movement. 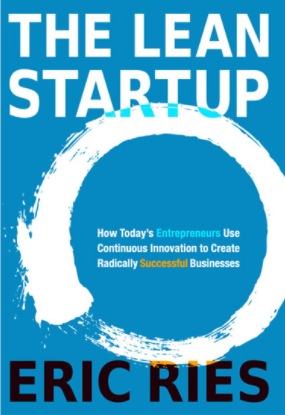 This is a practical guide about what Lean Startup is and how to do it. We love this for being both theoretically accessible and practical. 2. 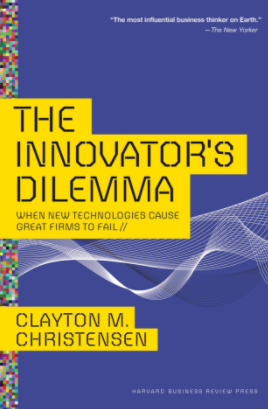 The Innovator’s Dilemma & The Innovator’s Solution, by Clayton M. Christensen. Brought to you by the Harvard Business Professor who coined the term disruptive innovation. The Innovator’s Dilemmaexplains how even the most outstanding companies can do everything right yet still lose market leadership. The Innovator’s Solution explains how companies can and should become disruptors themselves. 3. 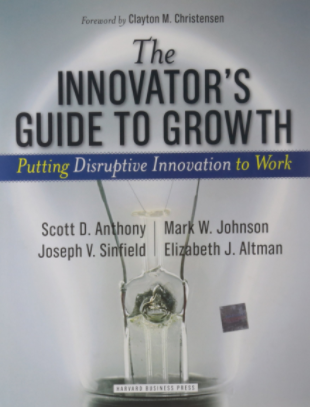 The Innovator’s Guide to Growth by Scott D. Anthony, Mark Johnson, Joseph V. Sinfield and Elizabeth J. Altman. 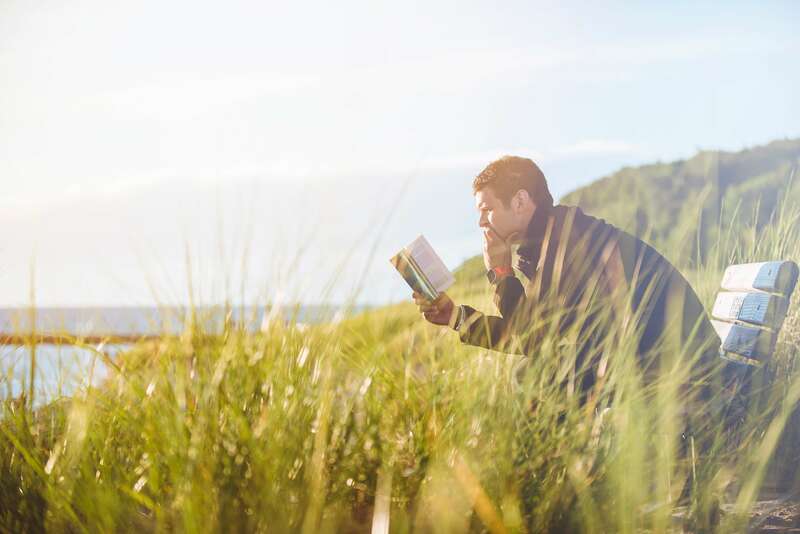 In a nod to Christensen’s aforementioned works, these authors show you how to take the practical steps necessary to leverage and benefit from disruption. 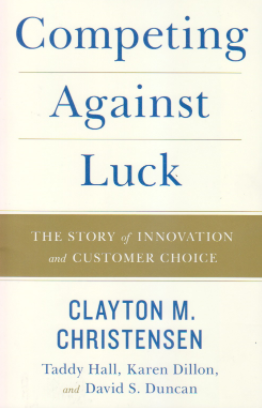 4.Competing Against Luck: The Story of Innovation and Customer choice, also by Clayton M. Christensen. In his latest book, Christensen takes his ‘jobs to be done’ theory further by demonstrating its predictive and insightful power. 5. 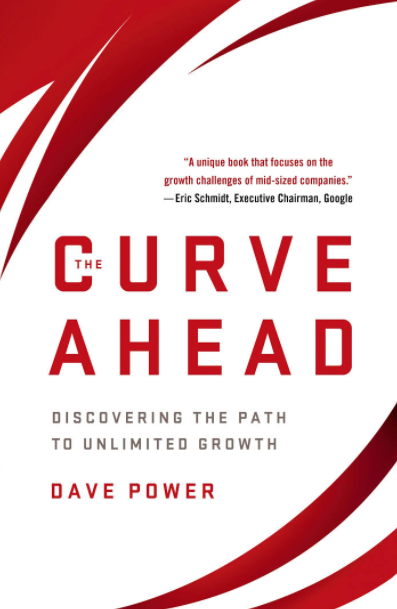 The Curve Ahead: Discovering the Path to Unlimited Growth by Dave Power. Case studies such as LoJack and Myspace are used to tackle questions such as “why do most growth companies stop growing?” and “what can leaders do to overcome the barriers to growth?” Power writes to help SMEs overcome the growth hump by providing tools to succeed and thrive. 6. 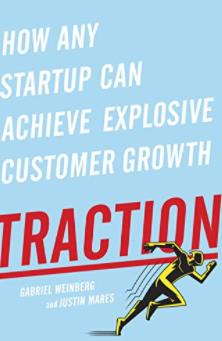 Traction: How Any Startup Can Achieve Explosive Customer Growth by Gabriel Weinberg and Justin Mares. Weinberg and Mares offer nineteen channels you can use to build a customer base, a well as a three-step framework (called Bullseye) to figure out which ones will work best for your business. It draws on interviews with more than forty successful founders, including Jimmy Wales (Wikipedia), Alexis Ohanian (reddit), Paul English (Kayak), and Dharmesh Shah (HubSpot). The lessons and examples in Traction will help you create and sustain the growth your business desperately needs. 7. 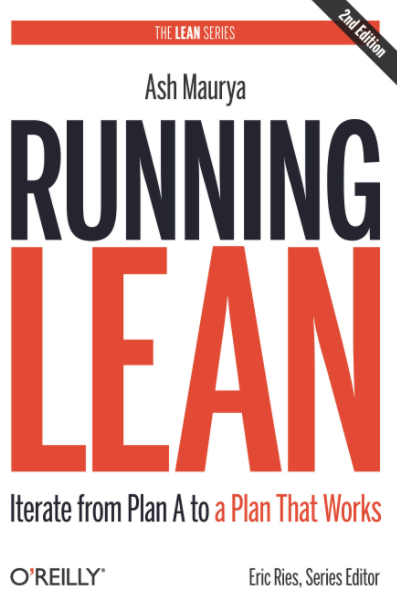 Running Lean: Iterate from Plan A to a Plan That Works by Ash Maurya. The premise of this book is that products fail due to wasted time, money and effort in building the wrong product. 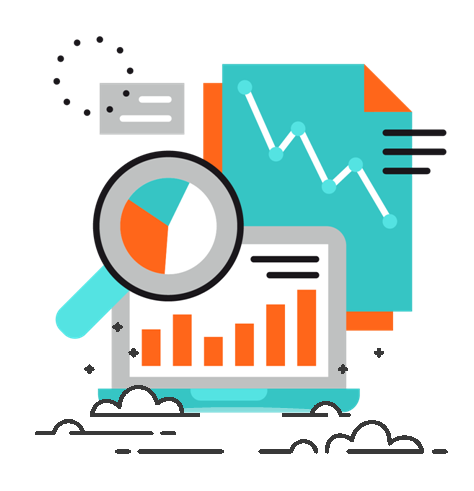 Maurya offers a systematic process for quickly vetting product ideas and raising the odds of success. Check out our podcast with the man himself over here on his follow-up book, Scaling Lean. 8. 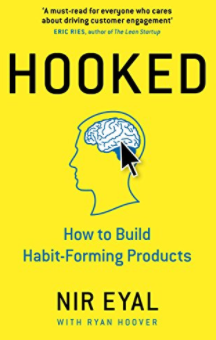 Hooked: How to Build Habit Forming Products by Nir Eyal. Hooked provides actionable steps for building products people love and can't put down. The book elaborates on the Hook Model - a four-step process that, when embedded into products, subtly encourages customer behaviour. 9. Crossing the Chasm by Geoffrey Moore. In Crossing the Chasm, Moore demonstrates that in the Technology Adoption Life Cycle, there is a vast chasm between the early adopters and the early majority. 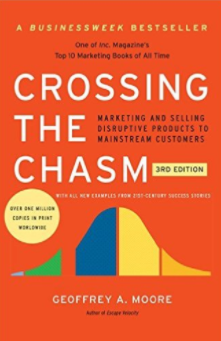 Moore argues that in order to successfully cross the chasm, you must create the “whole product,” position the product appropriately for skeptical pragmatists who make up the early majority, price the product relative to competitive comparisons and distribute the product through the right channels. 10. 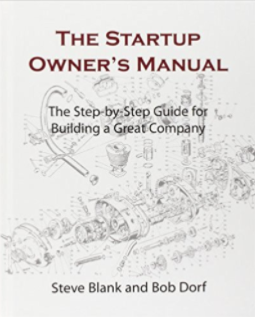 The Startup Owner’s Manual: The Step-by-Step Guide for Building a Great Company by Steve Blank. The Startup Owner's Manual walks you, step-by-step, through the tested and proven Customer Development process created by startup expert Steve Blank, unlocking the secrets to building a successful, scalable company. It's the indispensable reference guide for any startup founder, entrepreneur, investor or educator. 11. 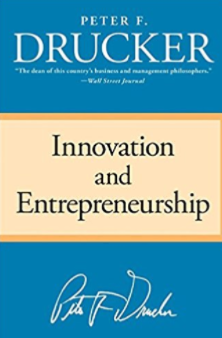 Innovation and Entrepreneurship by Peter Drucker. The ever-quotable management guru, Peter Drucker, hits the nail on the head. Although this book is relatively older than the rest, its principles remain timeless. A seminal work on innovation as a discipline that can be measured and adapted, rather than an organic, elusive entity. 12. 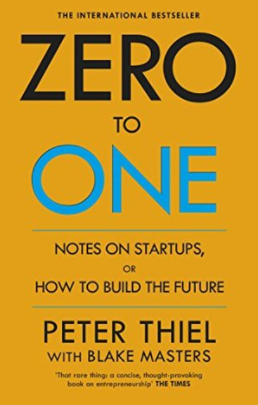 Zero to One by Peter Thiel. Brought to you by venture capitalist and co-founder of PayPal, this book addresses the question ‘what valuable company is nobody building?’ and tells you how to get there. Doing what we already know takes the world from 1 to n. New creations go from 0 to 1. 13. 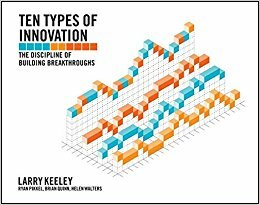 10 types of innovation by Larry Keeley, Ryan Pikkel, Brian Quinn and Helen Walters. Yes, there are ten! The ten types are split into three areas. At the center is the Offering, which contains the core product elements, and how the product is organized and integrated. To the left is Configuration, how the company is organized to make a profit. And to the right is the Experience, how the company interacts with the customer. The Ten Types of Innovation framework provides a way to identify new opportunities beyond products and develop viable innovations. 14. 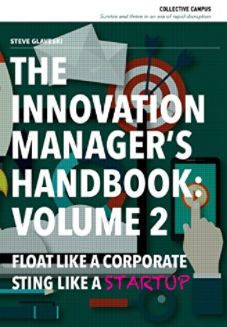 The Innovation Manager’s Handbook Volume 1 & 2 by Steve Glaveski. Treat these as your innovation go-to toolkits. Volume 1 is a collection of practical case studies and anecdotes that covers everything from the why and the how of innovation, to changing company culture. 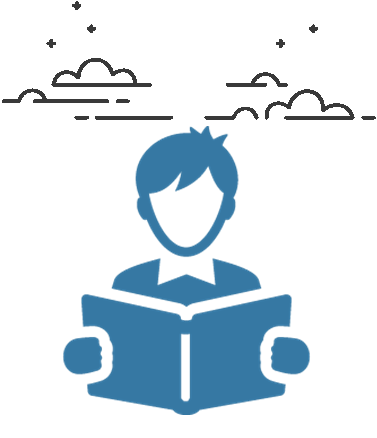 There are also dozens of guides, case studies and instantly actionable tips backed up by in-depth research and the latest and greatest in innovation theory. Get your free copy here. Volume 2 outlines the mindsets, methods and tools required to successfully explore new business models and disruptive innovation in an era of rapid change. 15. 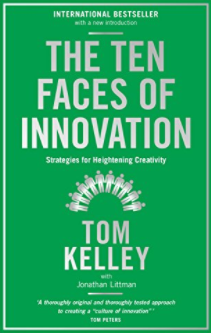 The Ten Faces of Innovation by Tom Kelley. This book captures some of the strategies that IDEO uses to nurture a culture for innovation. It covers ten personas, which people can play in an organisation to foster innovation and new ideas, while offering an effective counter to naysayers. 16. 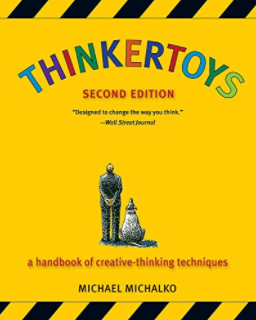 Thinkertoys by Michael Michalko. This book is full of fun techniques to boost creative thinking. With hundreds of hints, tricks, tips, tales, and puzzles, Thinkertoys is a great resource for ideation sessions and brainstorms. 17. Blue Ocean Strategy by W. Chan Kim and Renee Mauborgne. 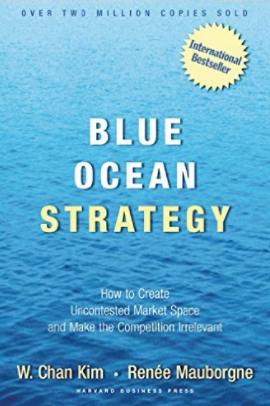 An oldie but a goodie, the authors describe ‘blue oceans’ as uncontested market space and ‘red oceans’ harbour vicious competitors that turn oceans blood red. Kim and Mauborgne explain there are two ways to create blue oceans. The first approach is to launch completely new industries, as eBay did with online auctions. The second way is to create a blue ocean from within a red ocean when a company expands the boundaries of an existing industry. A classic read. 18. 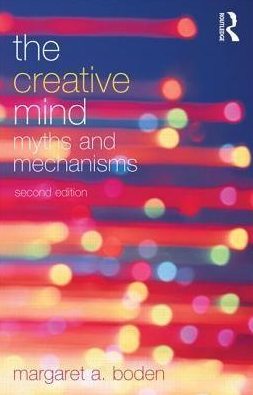 The Creative Mind: Myths and Mechanisms by Margaret A. Boden. This book can be a bit polarising from being too theoretical to too technical. However, its merits include fascinating insights into how creativity develops, as well as how computers can help us to understand human creativity. 19. 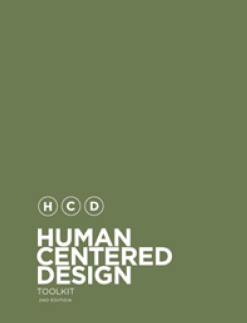 Human-Centered Design Toolkit by IDEO. This kit walks users through the human-centered design process and supports them in activities such as building listening skills, running workshops, and implementing ideas. 20. 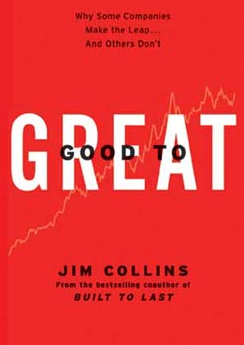 Good to Great by Jim Collins. Collins writes that companies that make the change from good to great have no name for their transformation—and absolutely no program. However, in each of the dramatic, remarkable, good-to-great corporate transformations, he found the same thing: There was no miracle moment. Instead, a down-to-earth, pragmatic, committed-to-excellence process—a framework—kept each company, its leaders, and its people on track for the long haul.